Whether you’re still trying to figure out if you want to get a tattoo or not or you already have a history with putting ink on your skin and you’re hooked for life, you’ve come to the right place. 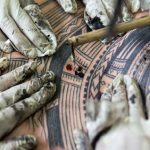 This page is dedicated to the beautiful art of tattooing that has been around for millennia. 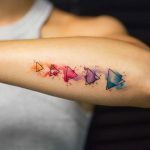 We would like to believe that our stories are just as fascinating and addictive as the tattoos themselves, so check them out and let your imagination run free.